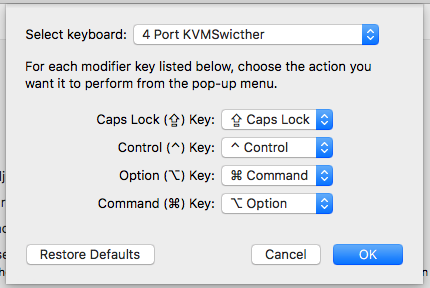 So after upgrading to macOS Sierra one of my most critical utilities Karabiner stopped working. I used it to map a bunch of shortcut keys on the mac to be the same as windows. I switch between the two OS's all the time and it drives my muscle memory crazy having to use two different sets of keyboard shortcuts. Unfortunately, Karabiner isn't supported under sierra. 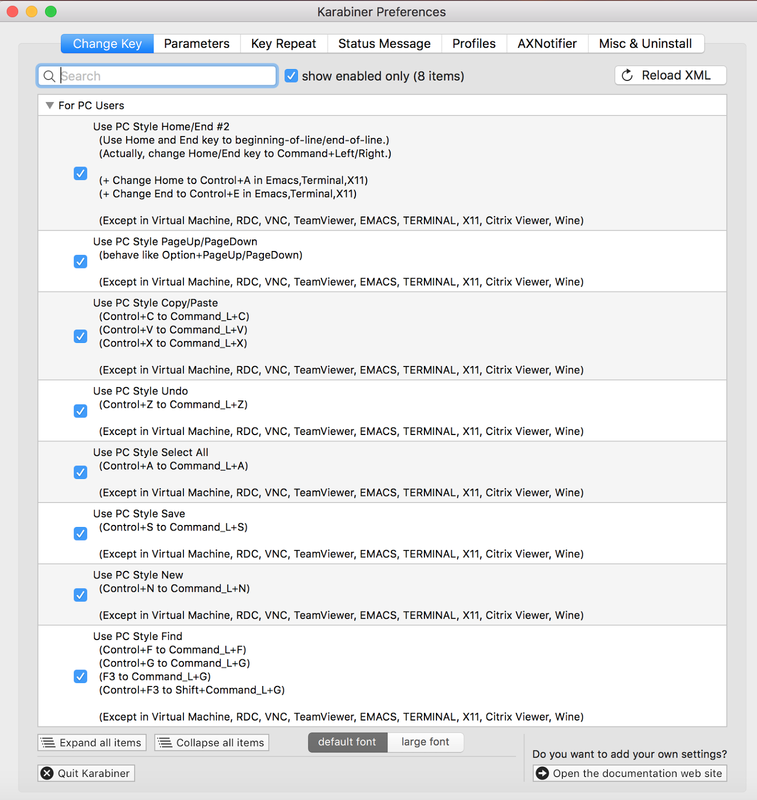 Karabiner elements doesn't have the features I need like many to many key mappings (mod key combos to different mod key combos). There is a fork that wwwjfy did that solves the one to many mapping but doesn't solve the man to many mappings. In the end I completely ditched karabiner elements and uninstalled it. Once you install hammerspoon and enable accessibility, choose open config. You should get a blank init.lua file. Just paste the following. Leave off the visual studio section if you don't use visual studio for mac. Then, reload the config. I no longer use hammerspoon. I highly recommend Better Touch Tool instead. It's well worth the few dollars.